Acme Industries is a high-flying Exporter and Supplier of wide array of assorted products. We are instrumental in offering Antique Lanterns, Copper Kitchen Accessories, Decorative Glass Products, Hanging Lamps, Mannequin Displays, Wooden Dhol, Award Trophies, Cremation Urns and Copper Chafing Dishes. 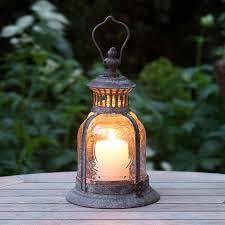 We are the noted Exporter and Supplier of Candle Lanterns. One of our most artistic collections of products in the international market includes Candle Lanterns. They reflect the creativity of the craftsmen involved in the designing process. The patterns and work of art perfectly match the current industrial trends. Our cost-effective home dcor item is a blend of beauty and efficacy. Some of our products are made of iron and few have embellishments on them. All Rights Reserved. Acme Industries.